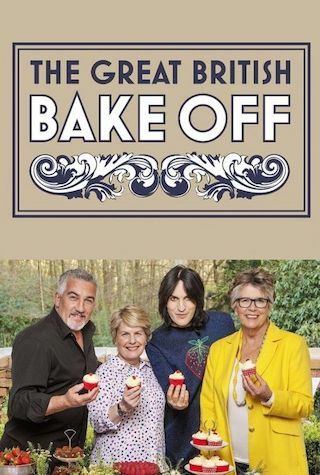 The Great British Bake Off is a British 75 minute game show food television series, which kicked off on August 17, 2010, on Channel 4 and is broadcast every Tuesday at 20:00. The show is currently in its 9th season. Channel 4 is yet to announce the renewal of The Great British Bake Off for Season 10 as well as its cancelation. Sign up to track down the show's status and its release date. Over 10 weeks, 12 of the best amateur bakers in Britain will whisk, knead, ice, beat and bake their way through classic British cakes, perfect patisserie, Italian delights, sticky caramel constructions and elaborate layered puddings. All 12 will be hoping to impress with their skill, creativity, knowledge and passion to clinch the Bake Off Crown. Each of the 30 new challenges have been carefully designed by judges Paul Hollywood and Prue Leith to reveal just who is a star baker. But it's not just a new experience for the bakers. Also joining the tent for the first time are Sandi Toksvig and Noel Fielding, who will be with the bakers every step of the way, ready with a pertinent pep talk, a helpful hand or just a sympathetic shoulder to cry on.